In today’s business world, with so much focus on the bottom line, most individuals and companies are looking for a way to cut operating expenses or at least pass them on to someone else. For this reason, most commercial leases these days include provisions which require the tenant to pay all or part of the landlord’s cost of operating, maintaining, insuring and furnishing utilities for the building (Common Area Operating Expenses). Depending on the type of lease, the tenant may bear all or only a portion of the landlord’s expenses. In a “triple net lease,” all of the landlord’s operating expenses are passed on to the tenant. A lease may, however, contain an “expense stop” which establishes a point at which expenses begin to be passed on to the tenant. In this type of lease, expenses for a “base year” are determined – the expense stop. Thereafter, the landlord pays expenses equal to the base year and the tenant pays its pro rata share of the rest. For example, if a lease contained an expense stop at $10,000 (“base year” expenses), and the landlord’s operating expenses were actually $11,000, the tenant would pay the $1,000 over the expense stop. 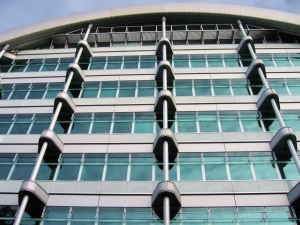 It has become more common in recent years for office leases to contain what’s referred to as a “gross up” provision. Gross up provisions permit landlords to “gross-up”, or overstate, operating expenses to simulate the building being at full capacity. Assume the gross up provision states that common area maintenance expenses will be calculated for each tenant as if the building was fully occupied, or at 100% capacity. Further assume the building is currently only at 50% occupancy. Under this set of facts, a $1,000 expense to the landlord would be multiplied by a gross up factor of 2 (100% (the markup rate) / 50% (the level of occupancy)). $1,000 x 2 = $2,000 (the grossed up operating expense). The tenant is required to pay a pro rata share based on the percentage of space it occupies – let’s assume 20%. In this scenario, the tenant’s total grossed up obligation would be $400. So, what exactly are the advantages and disadvantages of including gross up provisions in a commercial lease? From the landlord’s perspective, the most obvious benefit of a gross up provision is being able to pass on the expenses resulting from building vacancies to the tenants. Gross up provisions are generally viewed as reasonable for certain expenses, such as utilities that are not separately metered, because the landlord will bear that expense for the entire building even though it is only partially leased. These expenses do not vary by occupancy levels. Although a gross up provision may seem disadvantageous to a tenant on its face, it can actually benefit the tenant under certain circumstances. For example, referring back to the lease which includes an expense stop – if a building is not fully occupied during the base year, a gross up provision overstates the expenses based on full occupancy. This protects tenants from sudden increases in operating expenses when the building becomes fully occupied later. Essentially, the gross up provision for a property not fully occupied results in a higher expense stop. In the absence of a gross up provision and less than full occupancy, the tenant’s expense stop will be lower resulting in higher increases in future years when the building becomes fully occupied. As demonstrated by the above discussion, gross up provisions can drastically impact the terms of a commercial lease agreement. Prior to entering into a commercial lease agreement, make sure to consult with a San Diego commercial lease attorney.